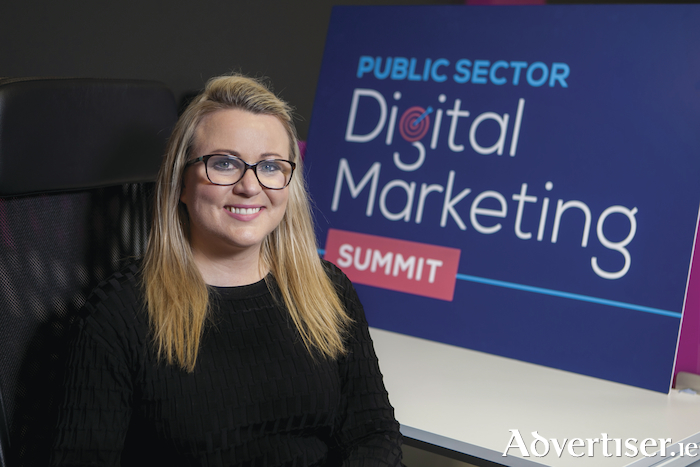 Advertiser.ie - Ireland's Public Sector Showcased at Public Sector Digital Marketing Summit! Ireland's Public Sector Showcased at Public Sector Digital Marketing Summit - In-house staff innovating in the Digital Age to benefit the public and other stakeholders - Thursday, June 14th, The Round Room at the Mansion House. A conference dedicated to Ireland’s public sector will hear that digital transformation is advancing at pace with in-house marketing and communication staff embracing social media and digital communications. The Public Sector Digital Marketing Summit takes a forensic look at how the public sector is responding to, and trailblazing through, the Digital Age. Marketing and communications professionals will share case studies and insights, while a number of international experts will also share best practices from the UK and US. Speakers from a broad range of Government agencies are already confirmed including Mesa Police Department in Phoenix, Arizona, the HSE, Trinity College Dublin, Beaumont Hospital, Irish Rail, Dublin Fire Brigade, EPP Group in the EU Parliament, safefood, Limerick City and Council Council, Radio Nova and Today FM. Google Ireland and a Millennial expert will also attend. The event organised by Joanne Sweeney-Burke of Digital Training Institute is the first dedicated digital marketing event for public sector professionals in Ireland. Ms. Sweeney-Burke who authored a book on how police forces have embraced social media and which is mandatory reading for some police forces, is currently writing her second book on digital transformation in the public sector. “I am very well aware of the remarkable strides being made by the public sector on digital transformation and I wanted to give voice to their innovation and progress. There is no doubt that the recession and caps on recruitment have taken a toll on progress, however, right now communications methods are taking a different and more progressive route. using social media in emergency response situations and how first-responders enlist the public’s help for major emergencies. The one day main event on Thursday, June 14th will see leading innovators and public sector marketing professionals converge for a series of panel debates, practical case studies, and individual keynotes. Attendees can expect to discover insider tips, key trends, and practical takeaways to help their public sector agency perform at a higher level in the digital world. The event is ideal for senior decision makers, managers, marketing, PR, digital, web, social media or communications professionals in the public sector including Government Departments, Health Service, Tourism, Local Authorities, Education Bodies, Policing, Political Staff, Local Enterprise Offices and Non Commercial State Agencies. Tickets can be purchased from https://publicsectormarketingpros.com/summit with early bird rates currently available. VIP tickets are also available for the Digital Transformation Workshop on Friday, June 15th from 10am to 4.30pm. This exclusive workshop is open to just 30 attendees and will allow you to work directly with Joanne who will review your current digital communications strategy and develop a roadmap for change. The VIP ticket includes entry to the main event on Thursday.